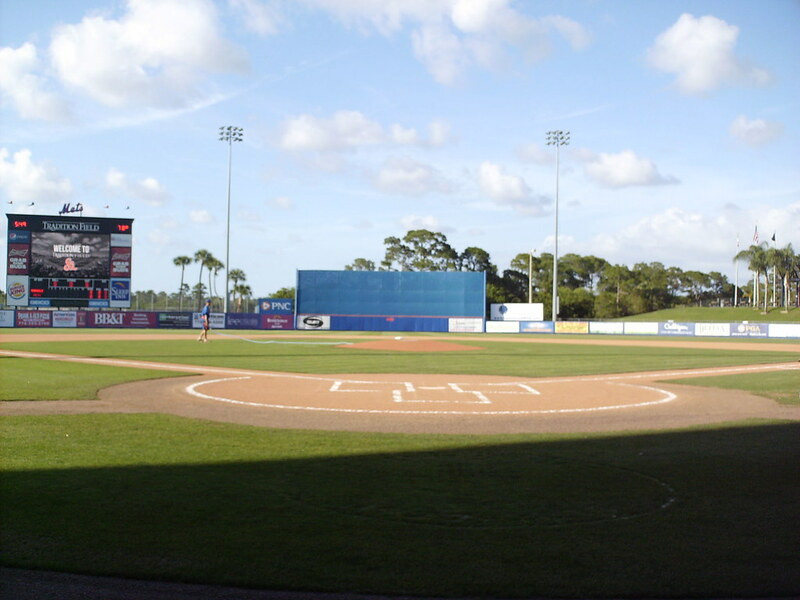 The view from behind home plate at First Data Field. 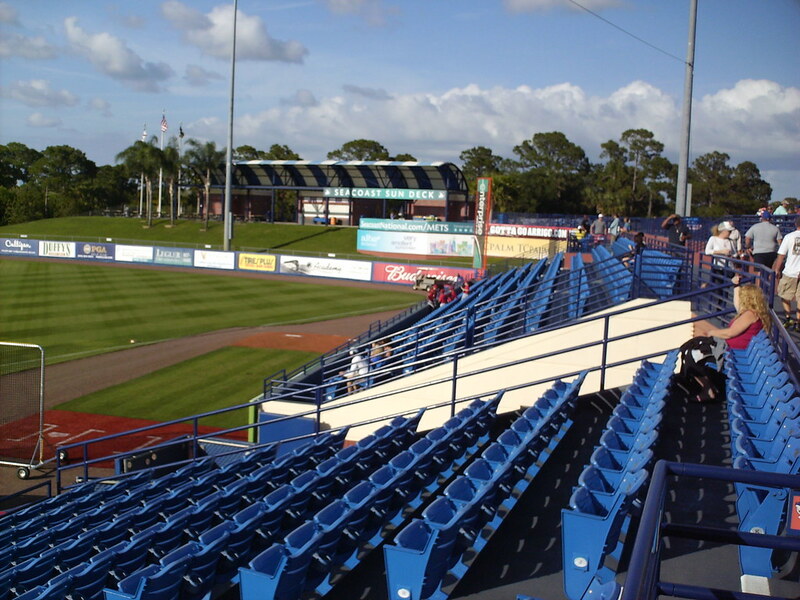 The grandstand at First Data Field as seen from the right field berm. 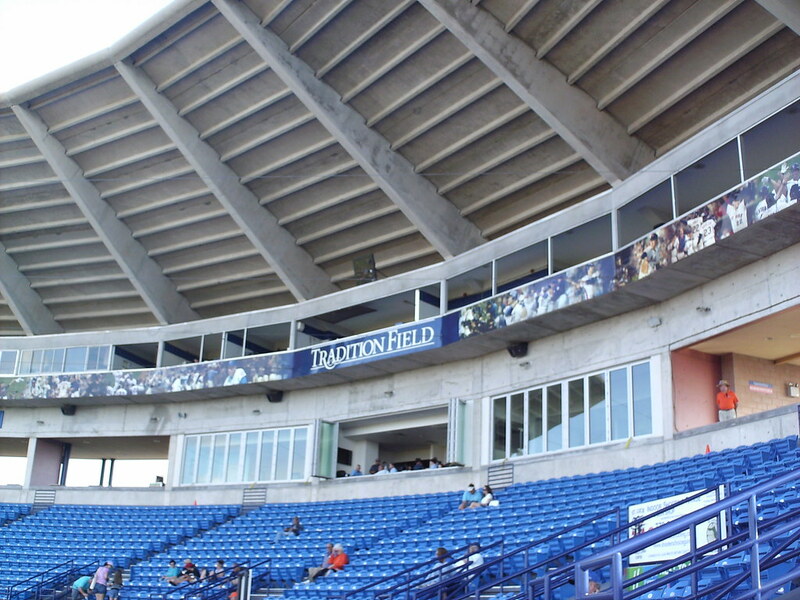 The pressbox slightly overhangs the luxury boxes and party decks at the top of the grandstand. 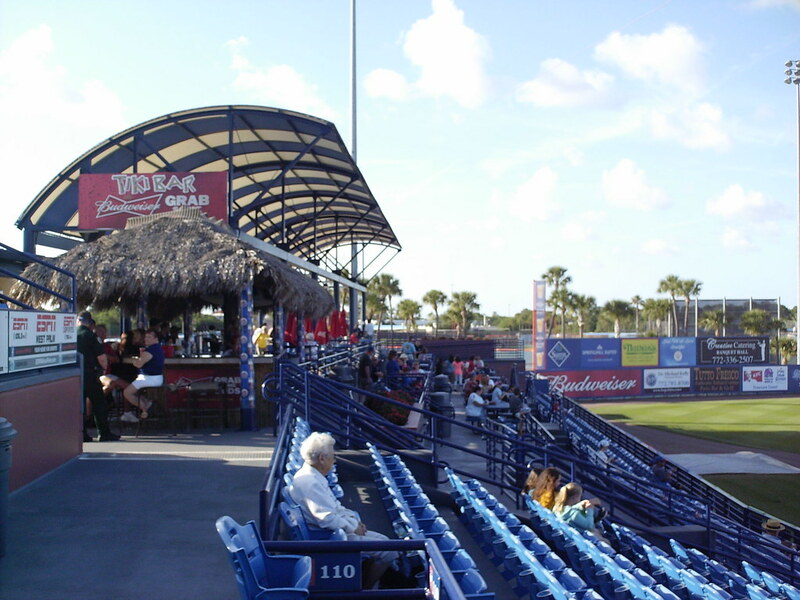 The Tiki Bar area and table seating in the left field corner of the park. 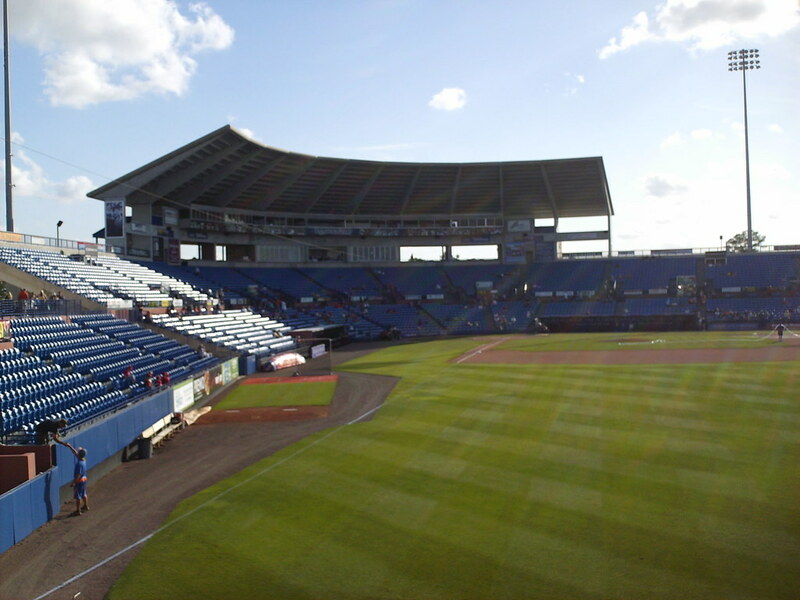 A section of seating down the first base line is separated from the main seating bowl and angled back toward the field. 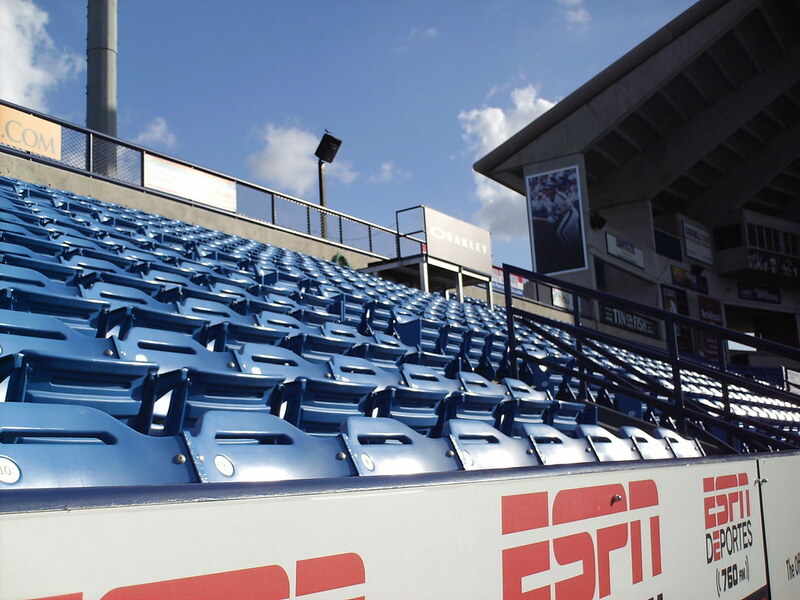 Camera platforms sit perched among the seats on either end of the stands. 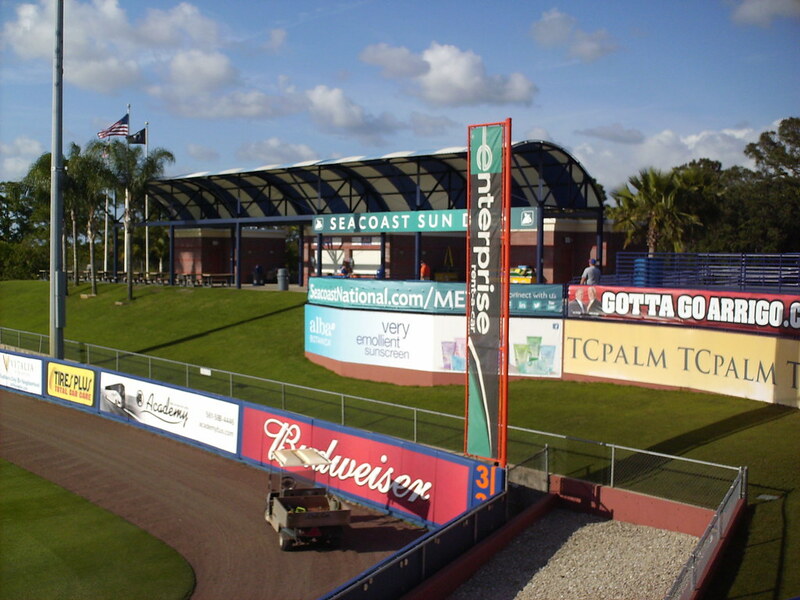 The sun deck and palm trees on the outfield berm. 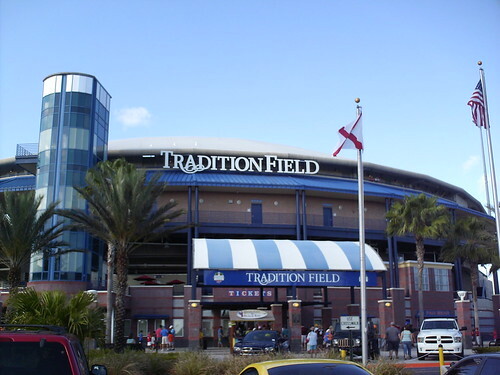 The foul poles are orange, just like the ones at Citi Field in New York. 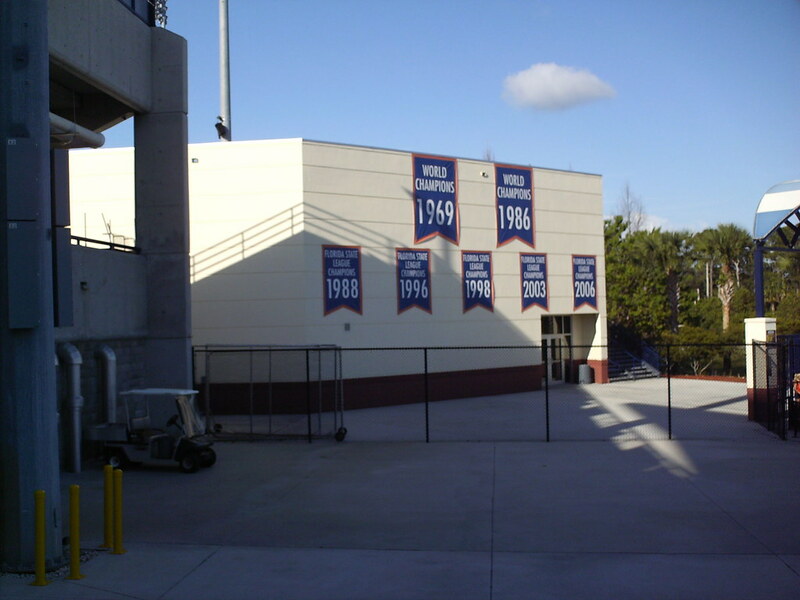 Banners on the Mets clubhouse celebrate the New York Mets World Series titles and the Florida State League championships of the St. Lucie Mets. 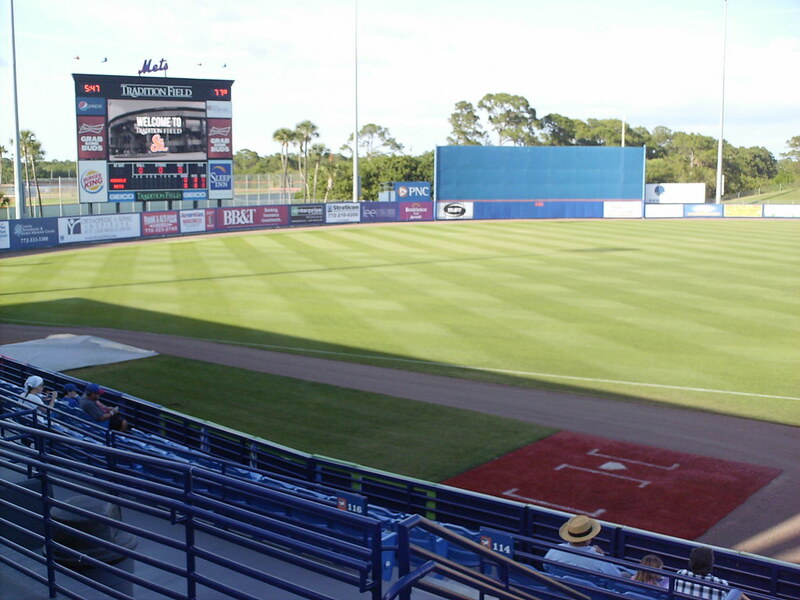 The concourse at First Data Field. 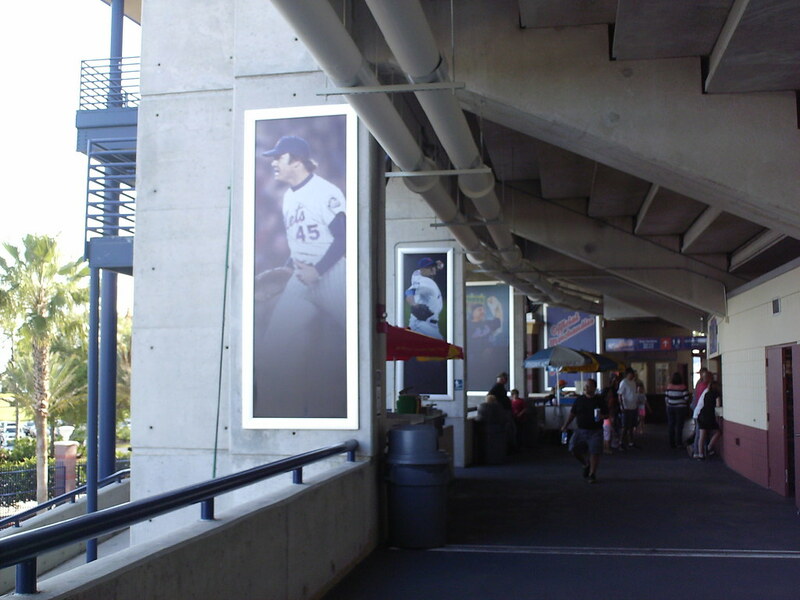 Banners along the support columns celebrate former Mets players and important moments in team history. 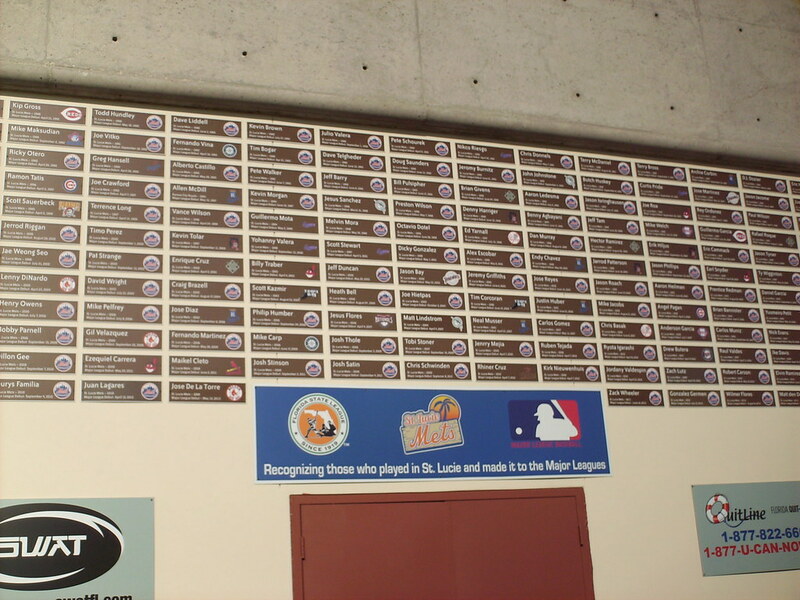 Plaques on the concourse celebrate former St. Lucie Mets to have made it to the major leagues. 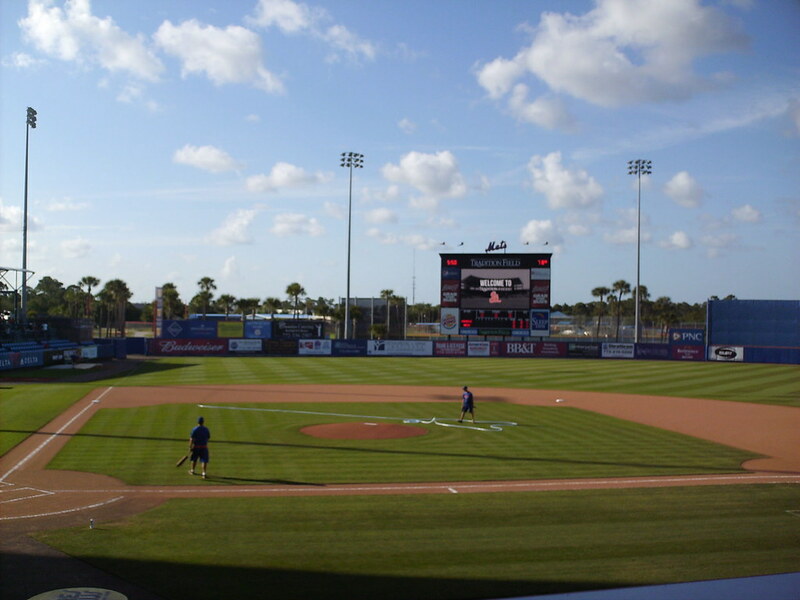 The scoreboard and outfield wall with the Mets practice fields visible in the background. 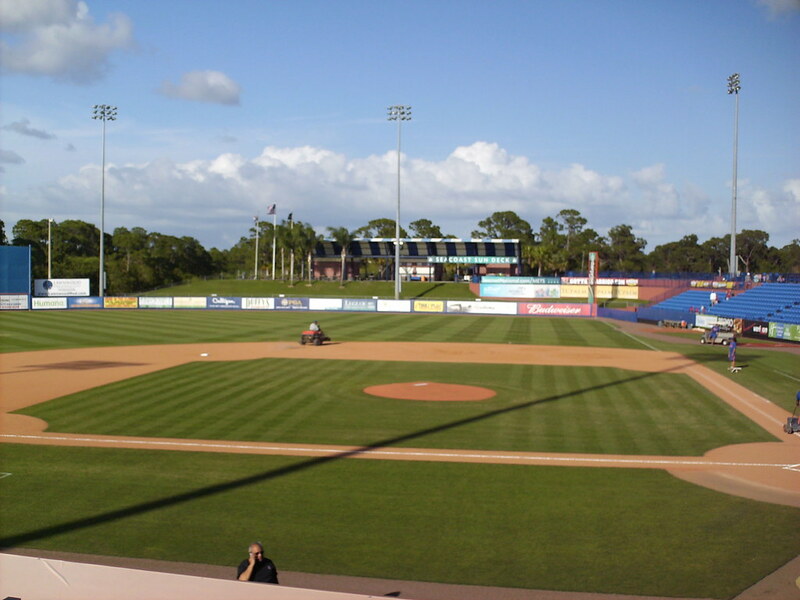 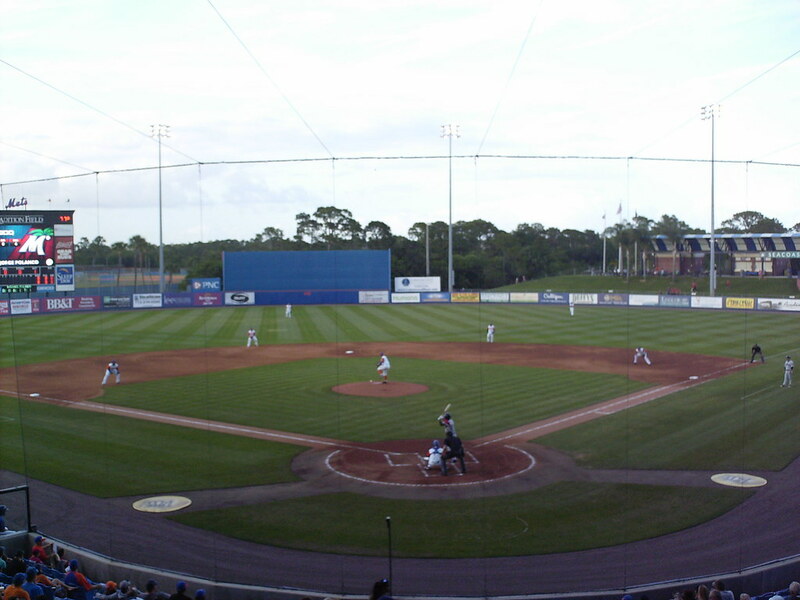 The St. Lucie Mets on the field during a game at First Data Field.